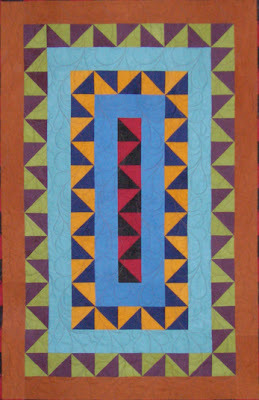 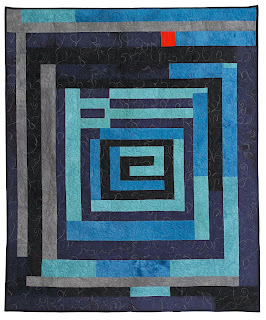 Housetop Denim by Debby Kratovil (46" x 60"
In 2008, Windham Fabrics arranged with the Quilter's of Gee's Bend to adapt several of their patterns for publication with a new collection of sueded solids designed specifically for these quilts. I was asked to create the patterns and the color palette and the first four patterns were included with kits to make the quilts. 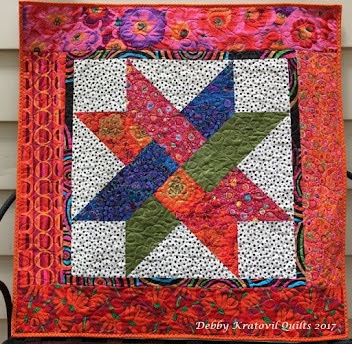 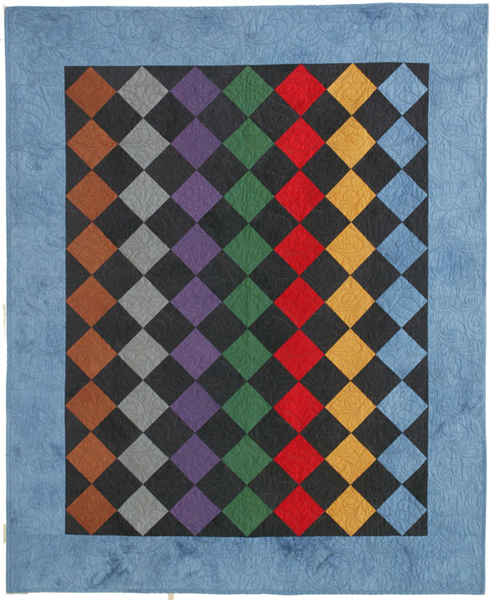 The quilters were given royalties on the sale of each kit, pattern, and yard of fabric sold. 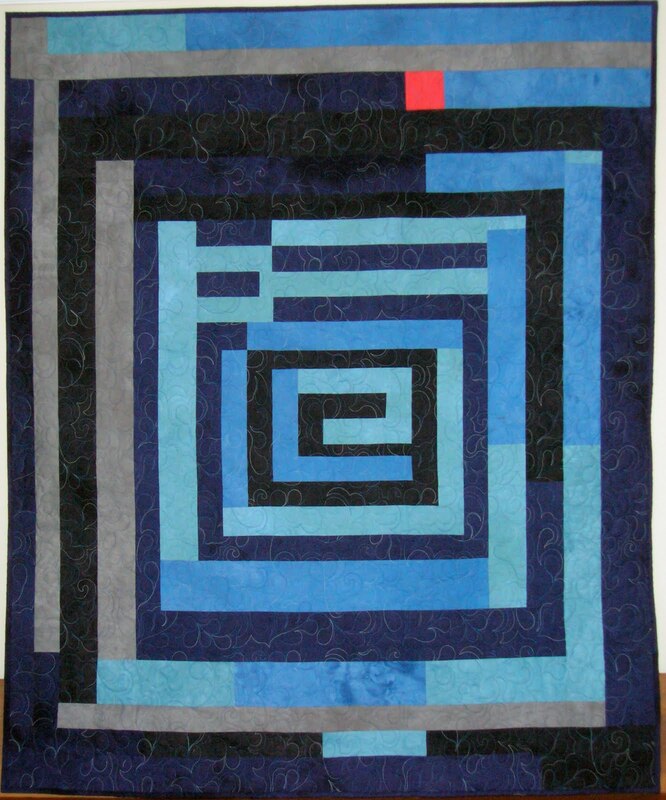 I own the copyright to the individual patterns and now sell them. Of course, I will continue to send a portion of each sale to these talented and creative women. 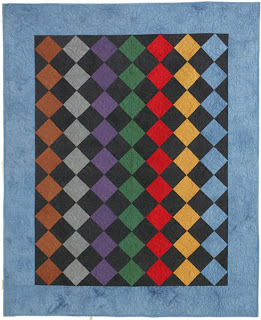 Without them, there would be no patterns! 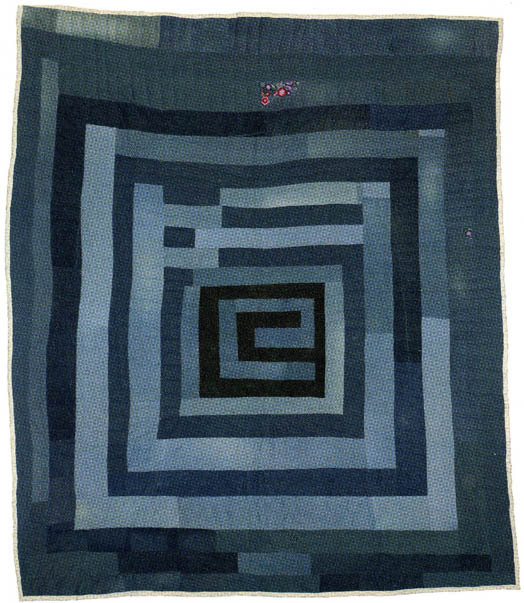 Here are pictures of the original quilts and my adaptation - got pretty close to the originals! 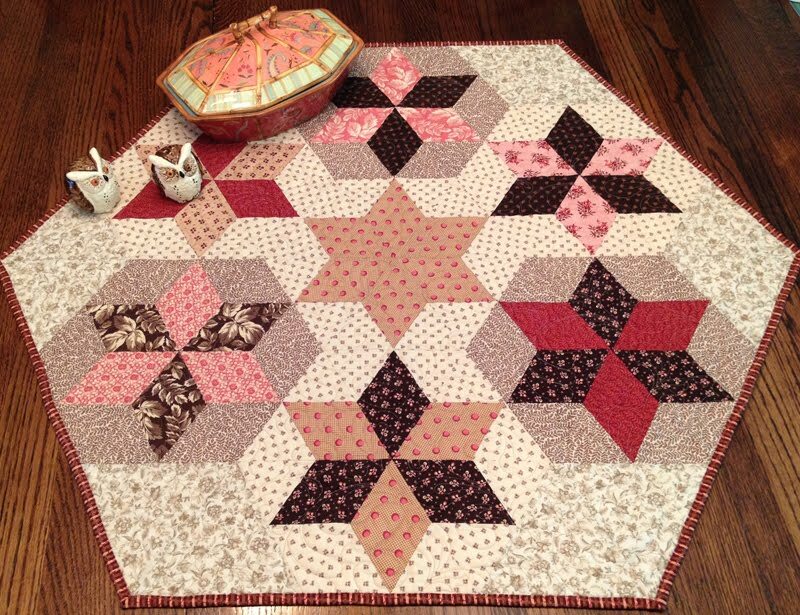 The ladies have been thrilled with how they have turned out and so am I. 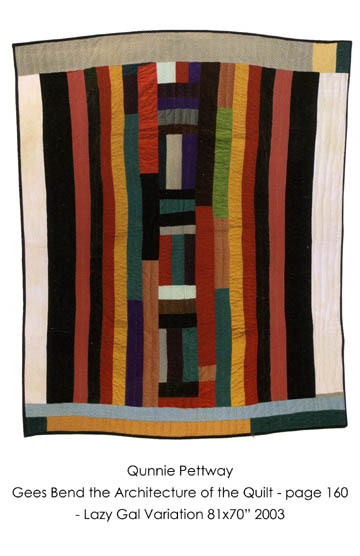 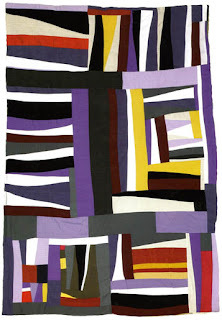 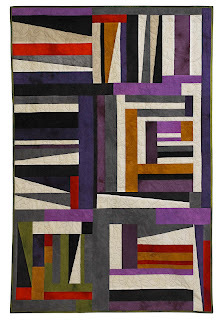 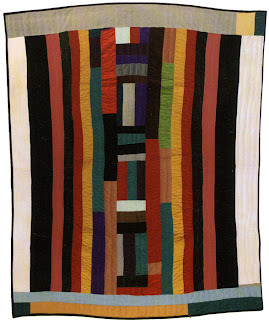 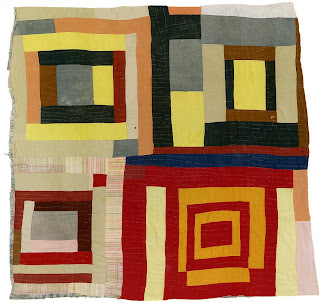 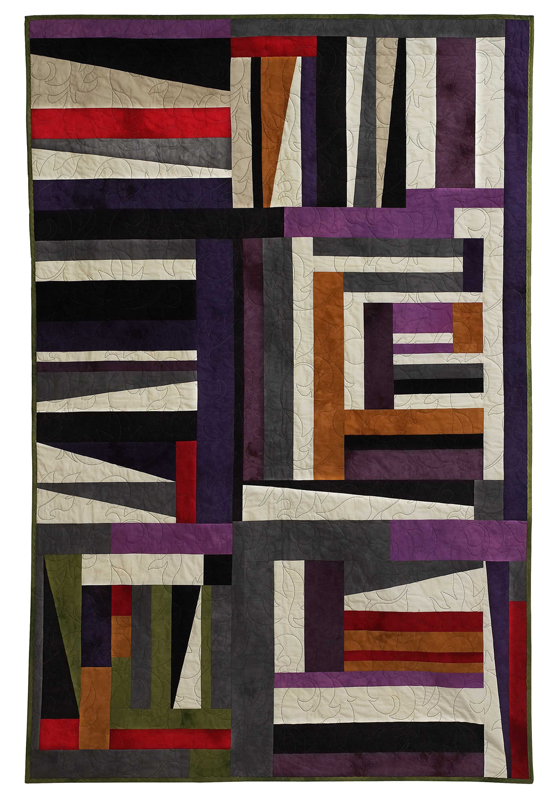 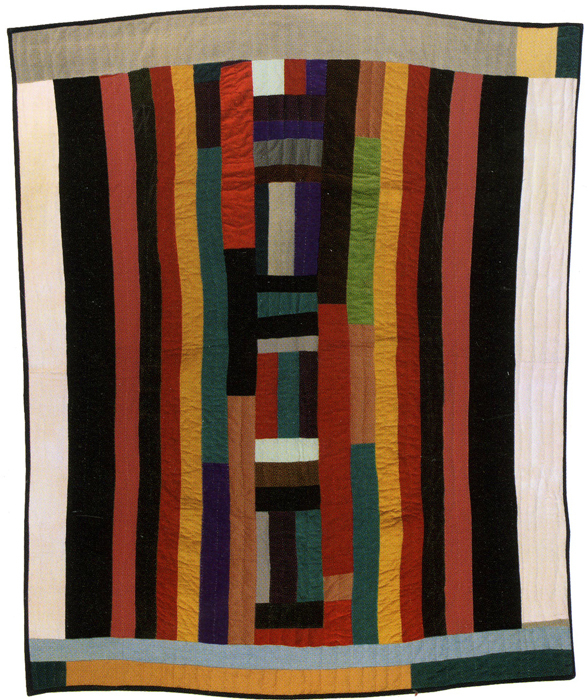 Original Strips & Strings Quilt by Mary Lee Bendolph. 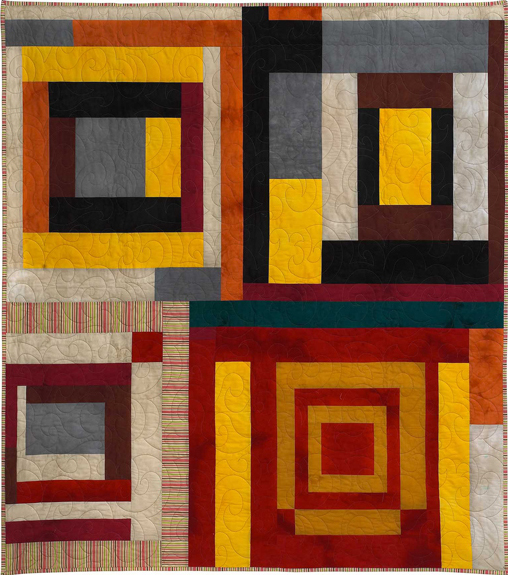 Strips & Strings - 50" x 75"
Lazy Gal 52" x 62"
Housetop 4 Block - 57" x 65"
It seems that I can't get enough of the solids that Windham Fabrics created for their Gee's Bend Collection. 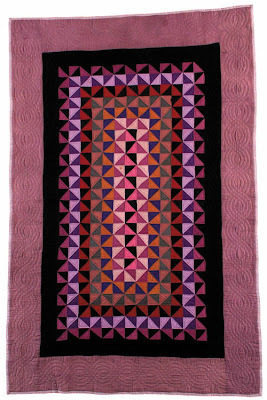 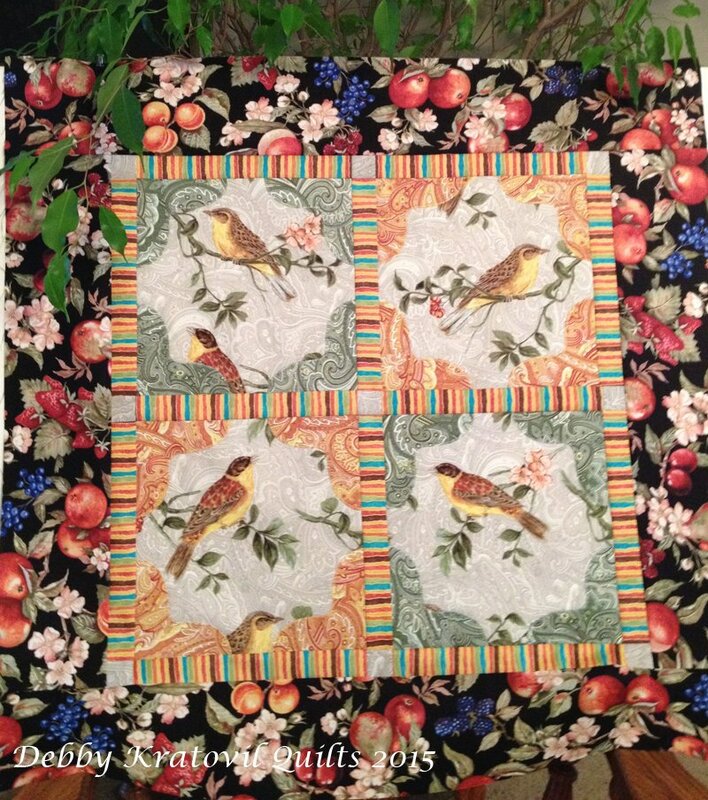 Inspired by antique Amish quilts, I made two quilts, this one published in a recent issue of McCall's Quilt Magazine. 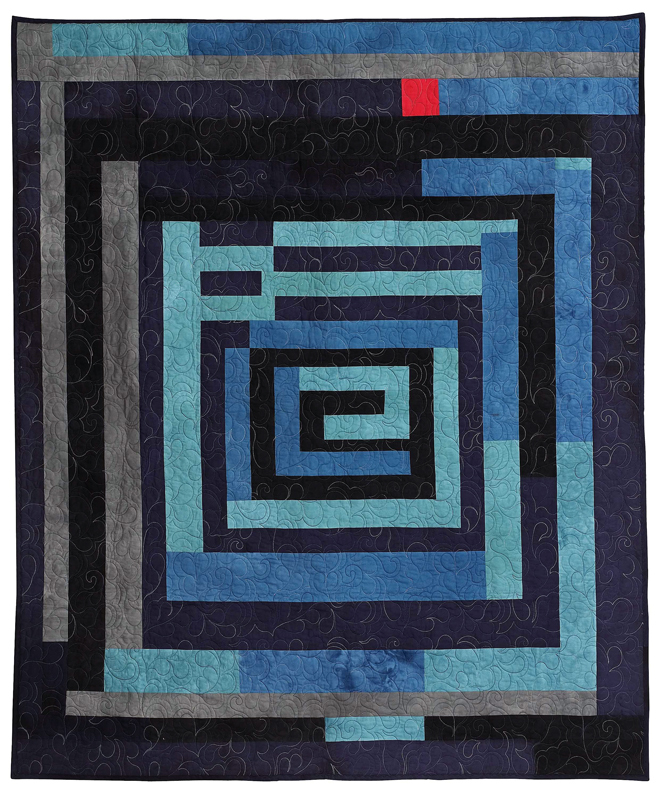 The other one was in a Love of Quilting issue last year. 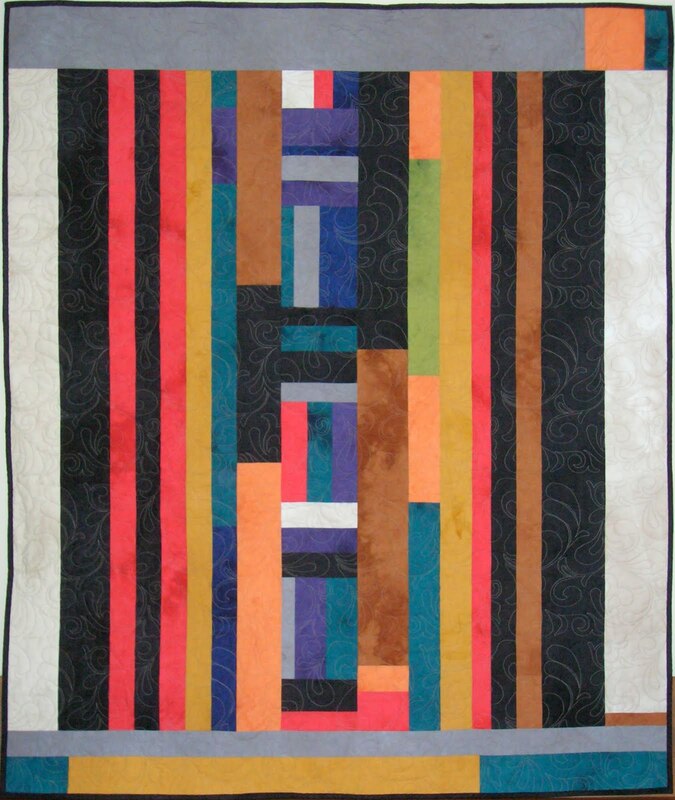 This hangs in my husband's office and is scheduled to appear in my 2014 wall calendar of quilts. 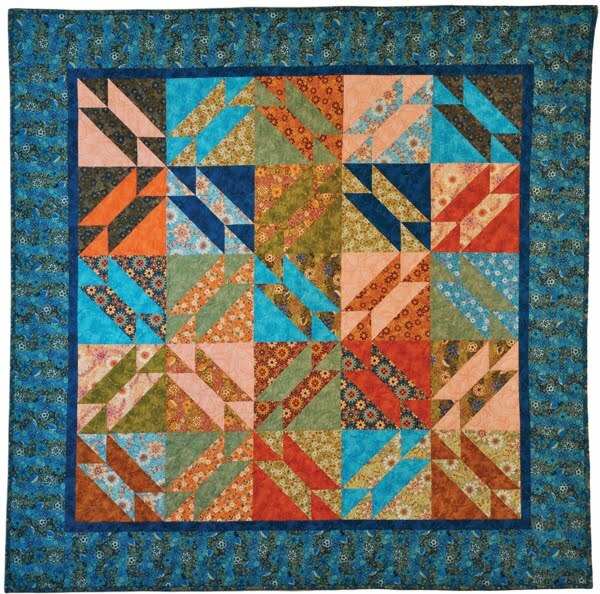 Don't you just love these rich colors? 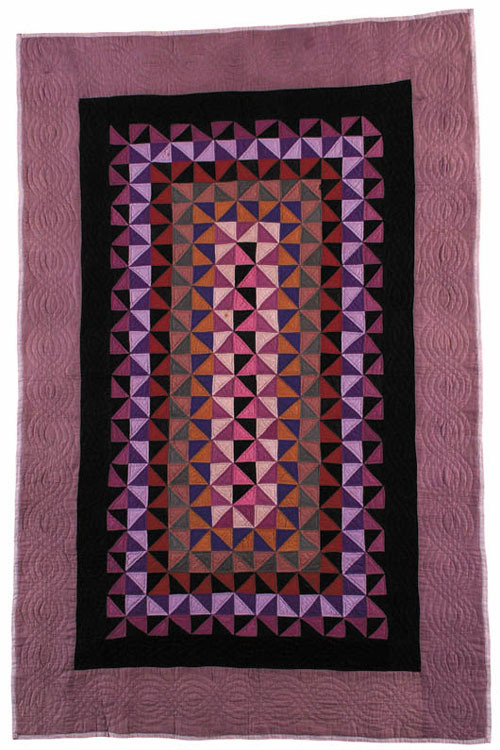 See all 8 of the original quilts and my pattern adaptations at my website.